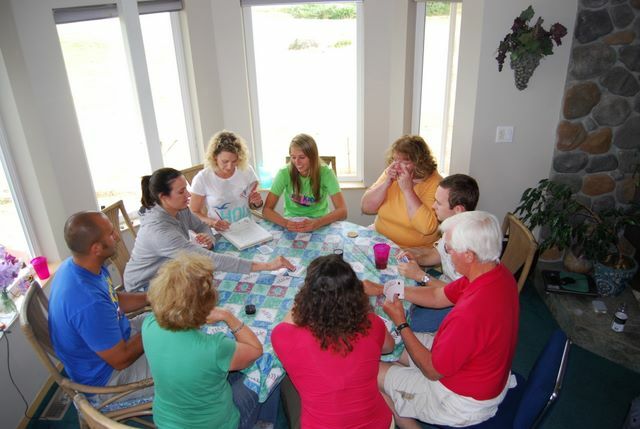 Onze is a family favorite card game. 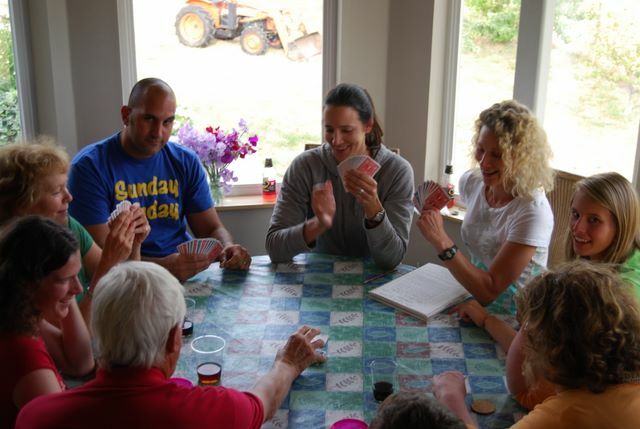 Similar to Gin Rummy, Onze is played with a sequence of 7 hands that are played with different mixes of sets and runs. The first round (hand) is played with 6 cards and each subsequent hand has one additional card. Onze is the french word for Eleven. Evidently, most variations of Onze are played with an 11 card hand. For maximum enjoyment, Onze should be played with at least 2 decks (2 jokers for each deck! ), with 6 players you need 3 decks and with 8 players, you need 4 decks. Any more than 8 players and you’re asking for trouble. Someone must be the scorekeeper. We used to use any old sheet of paper and then throw it away when we were done, but one of the smarter Caldwell’s designed a Score Sheet and created a booklet of them. This “Onze Book” now contains a fair amount of family history as the scorekeeper adds notes, comments and other bits of info that come up during the game. Here’s a clip of an early Caldwell Onze game. It took place during the infamous Caldwell Family Houseboat Trip in August of 1991. Here is the official Llenroc version Onze Score Sheet. Click on the image for a full-size, printable score sheet.